As you grow older your needs of body, mind and heart change, sometimes requiring assistance. Have you considered a reverse mortgage to help you with this assistance to stay in your home, instead of moving where that is provided like assisted living or nursing home? This is a very possible option for those who wish to remain in the place where family memories are held, and familiar rooms hold personal furniture and mementos marking the years. The average resident of a nursing home lives about four months, so short a time for this cherished time of life. With a little investigation by you, or by your loved ones, a number of other options could prove to be the best choice. For one, home health care has grown exponentially over the years. Certified aides, care givers and nurses can come to you to meet your defined needs. Add in a bit of tender loving care from family and friends to balance home care, doctor’s appointments, therapy and all the rest and a second option presents itself. 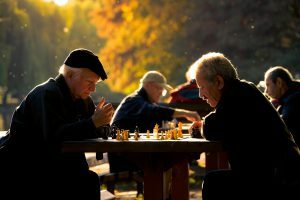 In addition to the one on one focus both these options provide are an endless stream of senior services such as meals on wheels, senior centers, day care assistance and many more falling under the umbrellas of social services. A Reverse Mortgage could be an easy way to create the lifestyle you want, meeting your changing needs, right within your own home! The first step would be to create a plan for your life of retirement. Set your vision for the future, naming long term health care providers, establishing the roles of family members, look at your resources (or seek professional counsel to assess costs of living for years to come,) and be honest about what needs you have now, and what needs you want to provide for in the future. Include the unexpected in your assessment so the stress of change is not compounded by lack of resources. Once you make your plan, discuss it with all involved. If it makes sense include those helping you in your will so they can provide a line of continuity from their care for you, to the care of your estate and affairs once you pass. Review your plan yearly so you have the security and freedom to change as you change. A reverse mortgage can not only provide you by covering your monthly expenses as you live mortgage payment free, but can also be included in the planning process increasing your options as you see how much you will receive from the equity of your home. Jan Jordan is a Reverse Mortgage Specialist serving the Fort Lupton, Dacono, Fort Collins, Loveland, Greeley, Longmont, Boulder and other Front Range areas of Colorado, as well as the Cheyenne and Laramie communities of Wyoming. Contact Jan and learn if reverse mortgage is right for you.